Consumers Now Own Company Brands: Social media has forever disrupted business-as-usual for companies that want to shape market perception of their brand. Consumer is king not only because collectively they will share their opinions about you on social media—be it positive or negative—but also through their own blogs and forums. The playing field has been democratized like never before, which cuts both ways for companies: Brand advocates will do your work for you with zero marketing investment, but when customers have been wronged, companies need to remedy it publicly—and often that means asking for forgiveness and penance. Contrast this with the traditional one-way communication and PR spin that brands have customarily relied upon for years. Transparency is becoming inevitable (even for Apple, which still stubbornly refuses to open the social kimono). 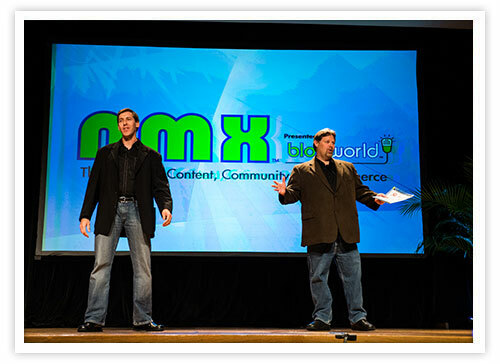 Companies Become More Human: The company as the faceless brand is dead; this was echoed throughout NMX keynotes and sessions. I can’t count how many times I heard speakers urge brands to “be authentic.” Because “people don’t trust companies, they trust people,” according to keynoter Stan Slap of the Slap Company. Or as Amy Jo Martin of Digital Royalty says, “Humans communicate with humans, not logos.” She advocates that brands must “show some skin” and incorporate work/life integration when they can, whether it’s a big corporation or a celebrity. Scott Monty, CMO of Ford (and seemingly family darling of NMX), embraces social media with the Ford Social site and explains, “People engage with people, not product features.” Or as Tamsen Webster of Allen + Gerritsen puts it, companies now require a “digital dimensionality”— not only its marketing messages but culture, personality, and most importantly, real people to connect with. A flat company doesn’t resonate with today’s customer. Content Becomes More Useful: Humanizing companies also means delivering content that is both consumer-centric and brand-complementary versus traditional self-promotion. Even though content marketing is not a new concept, the delivery of valuable information is now becoming a must-have for brands. Ann Handley of Marketing Profs reminds us that journalists think about their audience first, whereas marketers put the company first. She references the idea from Joe Chernov that content should be intellectually disconnected from the product but emotionally tied to the brand. In other words, “marketing that doesn’t feel like marketing,” as she quotes from Tom Fishburne. She adds that consumer marketing can make it easier to focus on the audience, but can also—and should be—done with B2B content. Social Influence and Sharing are the new “Like”: Yes it’s still very important to get followers, likes and subscribers, but what matters more is that actions result from your Facebook page, Twitter, Pinterest and other social media presence or campaigns. It’s not about just numbers and mentions anymore. “Social listening” is not only what people are saying, but what are they doing and how are they interacting with your brand. What category of social influencer (or not) do they fall into? An advocate? A passive user? As Amy Jo Martin says, the “new” ROI for social power is “Return on Influence” and has a formula to back it up. There are now models for different types of social influencers, reinforcing new rules for social media engagement and measurement. And when it comes to sharing, customers can, in effect, create a viral campaign for a company by organically spreading its branded content across networks, amplifying the message many times over. SoLoMo, or the Connected Consumer: The convergence and rise of social, local and mobile technologies (SoLoMo) is driving fundamental changes not only in how marketers reach their audiences anywhere and anytime, but how companies communicate with their employees, and this is blending together like never before. The corporate “enterprise” has taken its cue from consumer technology in building a new, nimble infrastructure for staying connected in the age of telecommuting, our “work anywhere” culture, and the “bring your own device” mentality. The goal is to deliver identical information and workflows to employees wherever they are, on whatever device they are using: tablet, phone or yes, phablet. 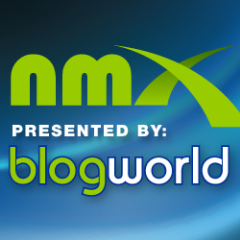 The bonus takeaway: I learned that NMX was originally called “BlogWorld & New Media Expo” for its premiere conference in 2006, but was likely shortened to “BlogWorld” because of Twitter character limitations and plain old habit, according to the NMX founders. 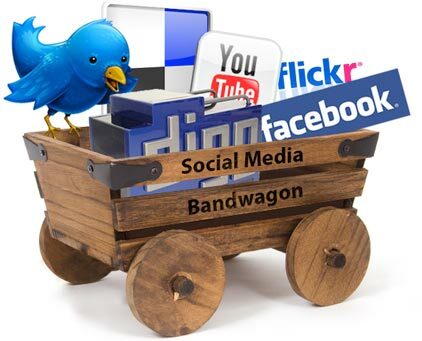 Even though the word “blog” has been retired as part of the conference name, the good news is that the granddaddy of social media is still alive and kicking. Blogging has the power and diversity to spawn Internet rock stars like C.C. Chapman, Robert Scoble (aka The Scobleizer), and many others, along with the retired professor that does an education blog, a young woman writing about work issues, and yes, the communications consultant who digitally pens a marketing blog. Thanks to the combination of the written word and the Internet, we have the ultimate platform to communicate our ideas, question the norms, entertain, and be a part of this vast online community. We scream a little louder now to get our messages heard, but there is still a deep satisfaction in hitting that “publish” button.